I am still "poo" free and liking it. My hair feels thicker and much more manageable. However I am not sure I will ever get use to the heavy, not clean almost oily feeling after I rinse out all the baking soda and apple vinegar mixture. But when I blow dry my hair it is like magic, beautiful, clean,manageable gray hair, did I mention thick gray hair? 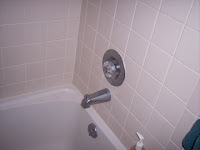 Mr.P and I are almost done with the first bathroom and it is looking beautiful, pictures to be put up on the blog later. Then we only have one bathroom to finish after that. have been consistent with my work outs, just wish I could see some better results. I know I have a very stressful job and that does not help my cortisone levels which then makes it hard to loose belly fat. I will keep at and hopefully by summer I will look better. 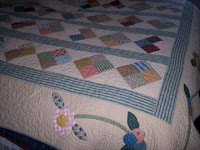 Have gotten two more quilts back from Patricia. Today is going to be a full day, bake a cake for tonight's quilt group, clean up the house, grind some wheat for bread, the furnace man is coming to check and change our filters, and of course hopefully get some sewing and knitting in. I love meeting with my quilt group. Some evening's we are very informative with our knowledge and some evenings it is just pure silliness. I enjoy both!!! We are all so different too, their are the "overachievers" who seem to have something completed every meeting , the "I want to do it all" and have anew project every meeting, (but where is the finished projects), the quilters who come to meeting and never sew, never bring anything and then their are the "steady eddies" who start a project and the group watches as they go through each step till it is a completed project. This quilter is not ADD, and we all secretly admire her steadfastness, knowing we could never be that single minded. Oh well the good Lord gave us all different gifts, may we use them well. My no "poo" experiment is going well. I have not used shampoo for 8 days now and the baking soda/apple cider seems to be doing a good job. My hair feels heavier and looks darker. My hair with shampoo was a white color now it seems an off white color. The part I really like is my off white hair is very manageable now, maybe a little natural oil is like using all those hair styling sprays. This has been a busy week with work and testing recipes for the house. i made laundry soap and love it, love it. Our socks, tee shirts and sheets are soo white and smell so good. I am never going back to the store bought stuff. 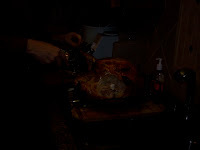 The recipe is from Rhonda Jean at http://down---to---earth.blogspot.com. I also tried baking soda and apple cider for my hair and loved it. I did this because of an article in the UK about how their water has way to much chemicals in it from hair products, mainly soaps and conditioners. It is only a matter of time before it is a problem for us here in the States. Heck it could be a problem now we just have not been told yet. The other thing I'm doing in my life is taking care of me. I am closely watching what I eat and looking up the nutrition values. 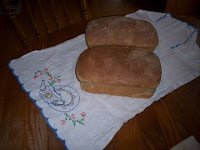 Cooking meals at home from scratch, made 2 more loaves whole wheat bread. Then the biggie is I have been going to the gym and riding the ellpticlle for 30 min/day. At first it was very hard, but now I am beginning to enjoy it. I tell Mr.P that I am going out to get my" jello legs". My blood pressure has dropped very nicely from 150/102 to 120's/70's. Hopefully soon I can start reducing the BP meds. Mr.P and I started the bathrooms yesterday. 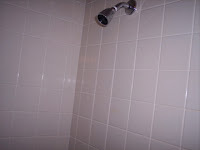 We scrapped out the old grout between the tiles, very dusty work. Today we will wear masks. Hopefully we can re-grout this afternoon. The irish sweater I am knitting is coming along but very slowly and have only worked on the mystery quilt one hour this week. Last evening my sister called to inform me that a friend from high-school years had died from cancer. I had not seen Mark for probably 30 years when he showed up in my town to drop his daughter off to school. Mr.P, myself and Mark met for dinner and had a wonderful time catching up with each others life's. I was shocked when he told me he had skin cancer and that it had metastasis to his brain. He looked so good and full of life, but that was Mark, forever the smiling optimist. Well today Mr.p and I are going out to dinner to celebrate our 30th year in bliss. Yes we have been married 30 years and I would do all over again with Mr.P. Boy I love that man! On my journey to an heather Me, I decided that today would be a good day to start back to the gym. Soo... off I go and do some crazy machine while I wait for the pilates class( the one for beginners). Well I made it through the class and found muscles I did not know I had . Where have they been hiding. How handy they would be at work. 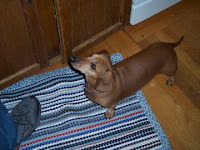 Do you know how often something is dropped on the floor and I am expected to get down and get it. Getting to the floor is not the problem, but it is anyone's guess if I am going to be able to get up again. if I were a betting women I would bet against me. I like making quilts more than exercising! Crunchy Chicken today was funny, I like the way that women gardens'. She is a real Mom, someone who wants to do lots of different things and having little time to do these things really well. Oh well she finds the silver lining in all her not so great turn outs. I like that, real Mom,real women, real life. oven. Maddie would of cooked faster than that dang bird. 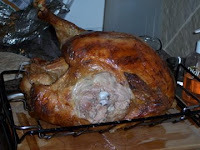 OK all whining done , today we ate some turkey and it was wonder!! very tender and moist, satisfying with the potatoes, bread stuffing, corn and that gravey !We will be having good eats te rest of the week. 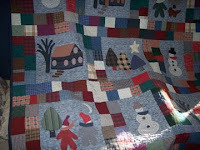 Besides cooking all weekend I did work on Bonnie Hunter's mystery quilt. I love sewing but this quilt is like the quilt that will not end. Thought I would run out brown fabric and would have to go get some more. The thought was more than I could bear, spend money, NO NO NO. I found some brown from a mistake that I made in cutting a different block and used it. Yeah for me!!! I went to the co-op today to see if it is worth becoming a member again. Found that they have my favorite lotion that I can buy in bulk at a good price, about $7 less for 320z. I did buy some of this to refill my lotion jars, but did not become a member yet. $20/year for membership, need to think about this one. Am also thinking of perhaps throwing in a NO TV day, one day a week. I can so zone out in front of a TV when I am really tired and bored. Friday Jan.2- 2009 was my first no spend day. it was harder than I thought, one because their were great sales in town and one at my favorite yarn store. Not that I need any yarn but I am a sucker for sales,hence how my house became so cluttered. But.... I did not leave the house except to walk with Mr.P and the dog. Also yesterday was d#2 without sugar. Am feeling a little better but still very tired at night and then having trouble sleeping. yesterday was spent sewing on Bonnie Hunter's mystery quilt, I only completed the first set of blocks,lots and lots of cutting, pressing and sewing of small pieces. 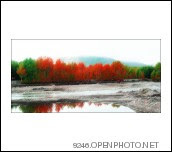 I do think that it will be beautiful when done. Today a turkey will be cooked with all the trimmings aka: mashed potatoes, stuffing and corn. We will eat off of the bird for about 3 days then freeze what ever is left for another day, will also make 2 loaves of bread for the week. 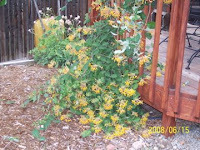 It is starting to snow, we are expecting about 1-3 inches though the weather men in Colorado are hard to trust. I would never bet the farm on their predictions, I like to use Farmers. Almanac site. 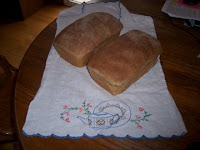 Will post pictures of the bread later, it is in the oven at the moment. 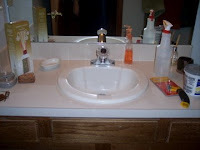 Oh something else Mr.P and I are going to be doing: Redoing the bathrooms. I hope this will not ruin 30 years of marriage. We tend to do things very differently. He being a man that needs LOTS of information and me being a women who will figure it out as I go. Should be interesting. We are off to Home Depot to get new fixtures and paint, then it's let the fun begin!!! !